Ships today if you order in the next 14 hours 19 minutes. The aging process can bring with it unhealthy and varicose veins, as well as swelling in the legs and ankles. 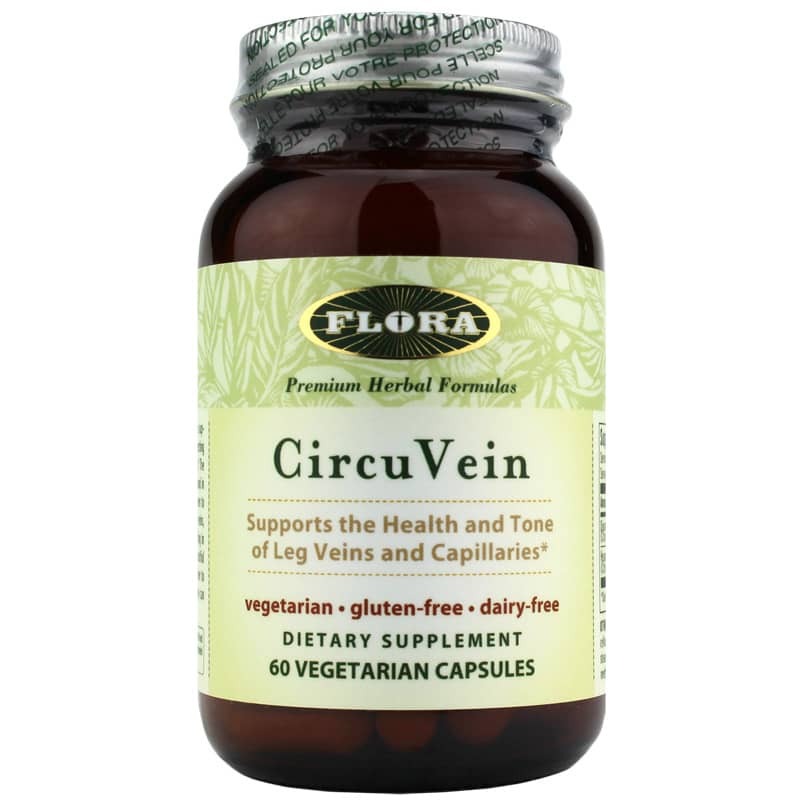 If you've been searching for a way help minimize these issues, Flora offers a product called CircuVein, and herbal dietary supplement that provides support for healthy veins and circulation. 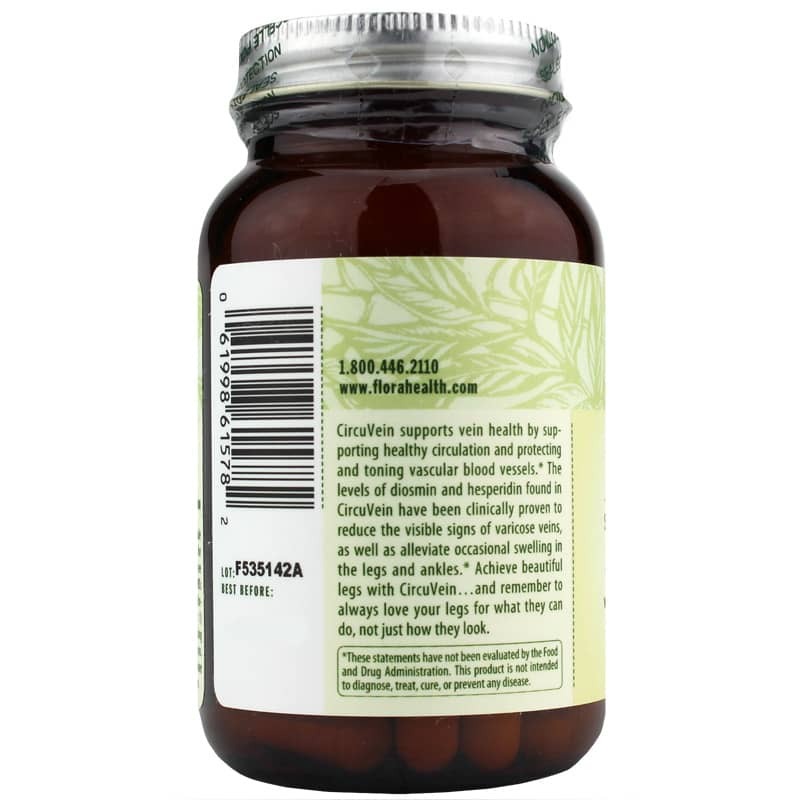 Every batch of CircuVein from Flora comes in a capsule form that is easy for adults of all ages to swallow. One capsule should be taken twice every day with healthy meals in support of better vein health. Make the right choice to keep yourself on the natural pathway toward optimal levels of health and wellness. Give CircuVein a try today, and see the difference it may be able to make for you. Order now! Other Ingredients: microcrystalline cellulose, silicon dioxide, magnesium stearate (plant source), hydroxypropyl methylcellulose. Contains NO: gluten, dairy. Vegetarian. Adults: Take 1 capsule twice daily with meals. 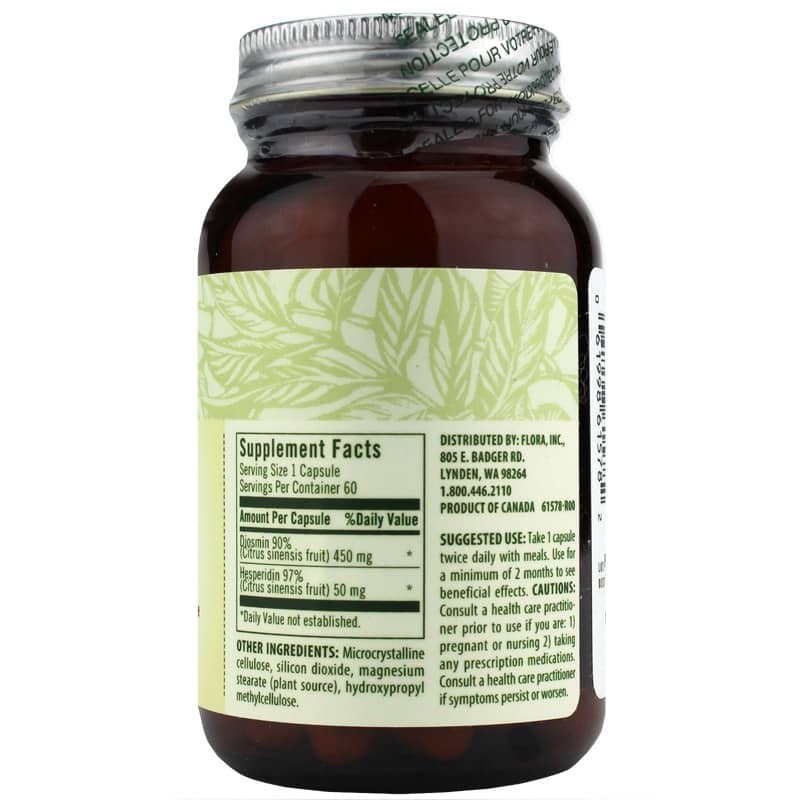 Use for a minimum of 2 months to see beneficial effects. Consult a healthcare practitioner prior to use if you are: 1) pregnant or nursing 2) taking any prescription medications. Consult a healthcare practitioner if symptoms persist or worsen. Keep out of the reach of children.